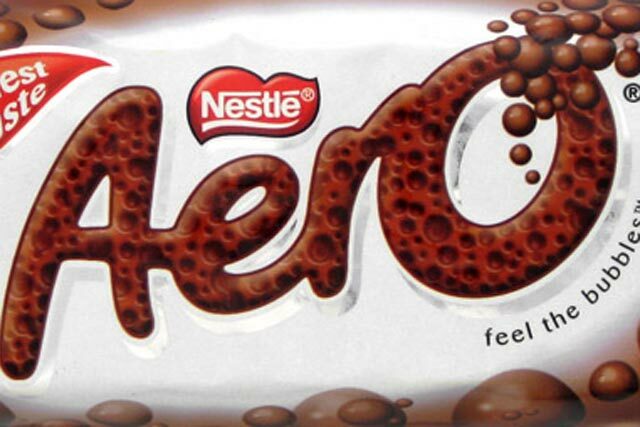 Nestlé is moving its Aero chocolate bar brand into the biscuit category for the first time, with a product aimed specifically at women. Aero Biscuits will hit shelves on 25 April, coinciding with Easter, and will be backed by a £4m marketing support including TV ads, created by DDFH&B, and in-store activity. Aero Biscuits, which contain 99 calories per bar, are aimed at women aged between their twenties and forties, as Aero targets this hard-to-reach market. The product will be sold in multipacks of seven bars of Aero chocolate, mixed with round pieces of biscuit. They will be priced in supermarkets at £1.52. It is unclear which supermarkets have so far listed the biscuits. They will compete against supermarket own-label products and brands, such as McVitie's Digestives. The brand extension to Aero marks part of a major investment by Nestlé in one of its flagship brands. In January, it reintroduced its Aero Caramel brand, with a claimed new, improved recipe, supported by its "bubble-speak" campaign, also created by DDFH&B. As part of that campaign, 10 major British cities – including London and Manchester – hosted large-scale, touch-screen billboards that invited people to take the "lova-bubble" test.